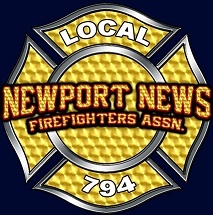 We want everyone in the department, especially our members, to know that everyone at the Newport News Firefighter’s Association, Local 794, still supports you day in and day out. While you might not have heard from us for a short while, it does not mean we have forgotten you, the department, or given up our fight to provide you a better department, admin, and working environment. A well written, researched article about the negative effects on a department caused by an admin’s failure. Anything stand out? https://www.firerescuemagazine.com/articles/print/volume-13/issue-10/departments/management-and-leadership0/effects-of-administrative-betrayal-in-the-fire-service. Septembers meeting has been canceled due to the possible hurricane. Please ignore all auto-reminders sent out by the calendar.